Find tropical tranquility at these adults-only resorts that offer rest and relaxation minus the kids. With a great beach, lively vibe and smartly-decorated rooms, Centara Ras Fushi offers excellent bang-for-your-buck, making it popular with younger couples. 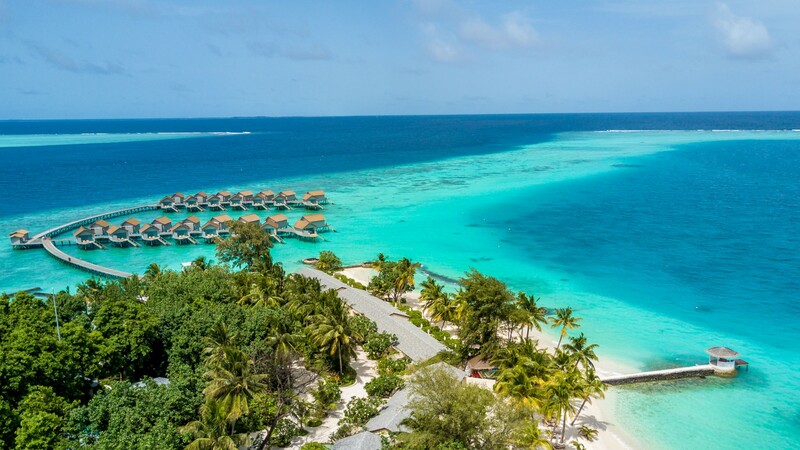 All-inclusive and full board packages are available at this North Malé resort and guests need to be at least 12 years old to stay here. Rooms are located along the shore or overwater – some are positioned to maximize sunset views. There’s prime snorkelling offshore (equipment is free), a dive centre on-site and overwater hammocks. Set on a 30-acre private peninsula, Cambridge Resort is one of Bermuda’s most luxurious and secluded properties. Although it’s not strictly an all-inclusive resort, packages covering meals are available. 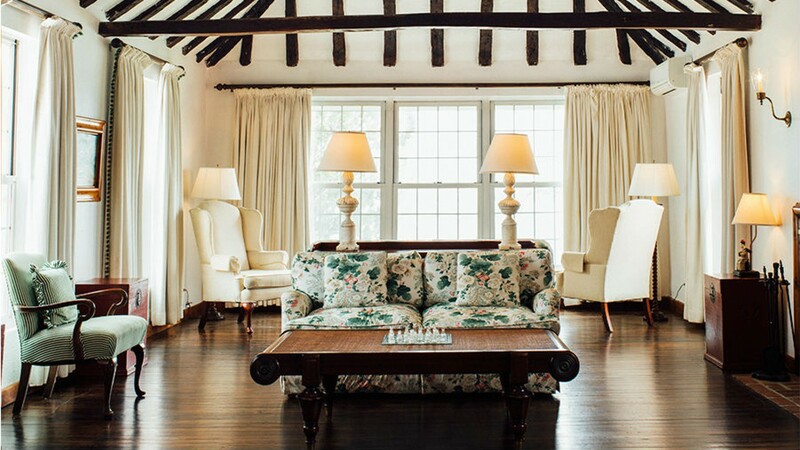 Guests stay in one of 87 traditional pink cottages, each with its own unique décor and history – some date as far back as the 17th and 18th centuries. The property includes access to four private pink sand beaches and a striking infinity pool ringed with waterfalls. Breezes, the resort’s open-air restaurant, offers amazing sunset views best experienced with an afternoon cocktail. Located on a quiet stretch of white sand north of the touristy hotel zone, this Excellent Playa Mujeres proves that there’s more to Cancun than party-hardy properties. 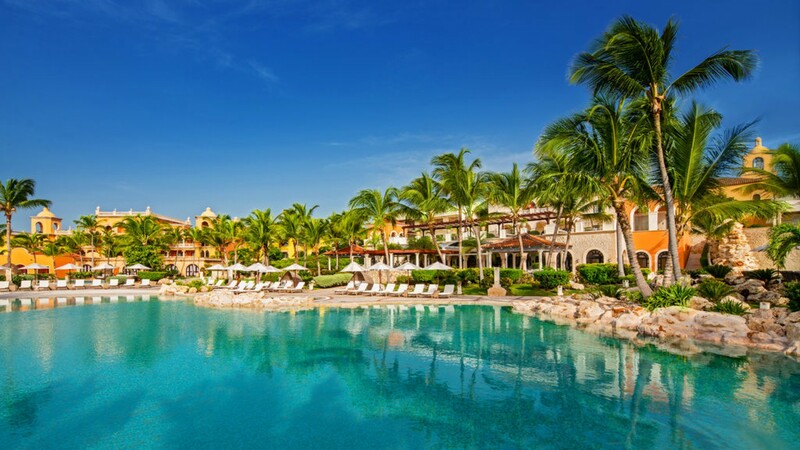 This serene resort’s aesthetic blends Mexican colonial touches with more modern beachy elegance. All rooms come with balconies, rainfall showers and hot tubs. There are ten restaurants and a swish spa with Swedish saunas, steam baths and heated waterbeds. The resort also features seven pools (five of which are heated in the cooler months), along with a curving lazy river. Set on a 30,000-acre property, Sanctuary Cap Cana is designed to resemble a historic Spanish castle town. Rooms at this romantic resort are divided into three sections – Colonial, Castle and Villa Collection. 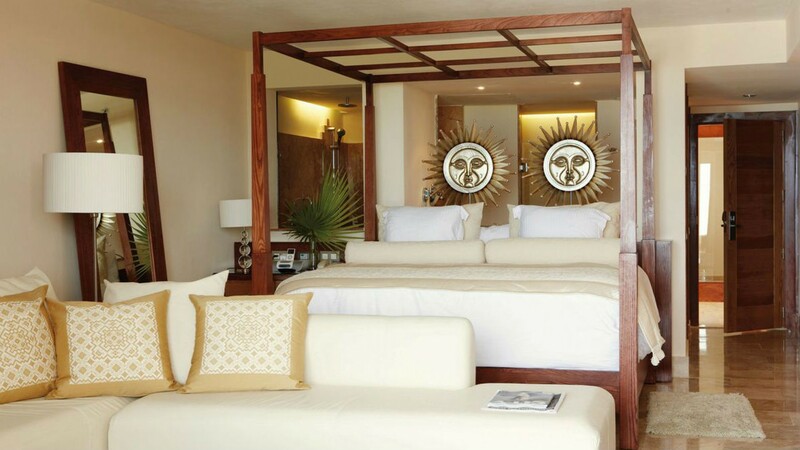 Each features a distinctive aesthetic, however lavish rooms with private outdoor spaces are common throughout. There are five pools, including an infinity pool overlooking the resort’s white sand beach. Five on-site dining options are covered in the all-inclusive rate, including seafood meals in the Blue Marlin’s overwater dining room. 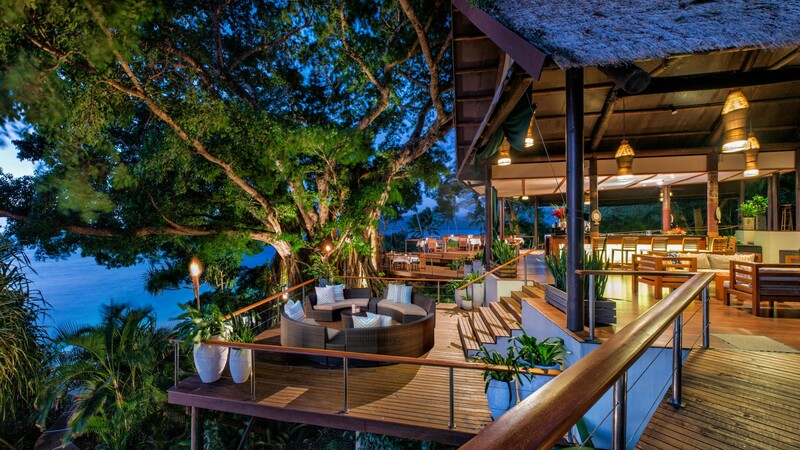 Royal Davui Island Resort is set on a private eight-acre island in the Fijian archipelago. Villas at this intimate retreat are built into a hillside and offer spectacular ocean views, plus come with two outdoor decks (one of which has a stone plunge pool), luxe living areas and bathrooms sheltered by electric roof shutters. There’s also a shared 18-metre pool fringed with palm trees and multiple picture-perfect beaches with top-notch snorkelling and diving. The restaurant serves Pacific-influenced dishes. At lunch, request a gourmet picnic hamper to enjoy on the beach.